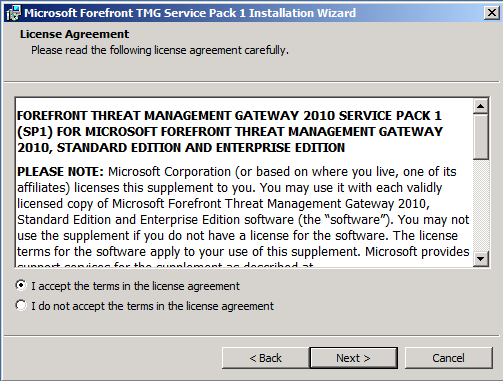 At the time of writing this article, TMG Server 2010 has two major updates; Service Pack 1 (SP1) and Software Update 1 for SP1 (SU 1). 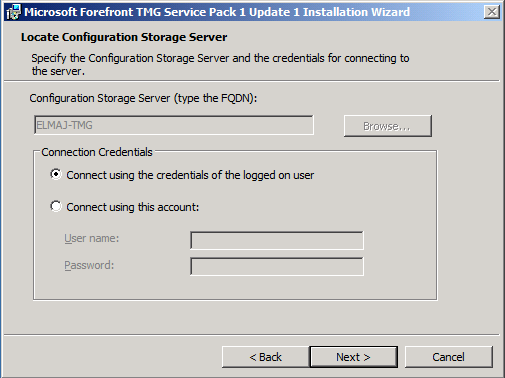 In this article, I will be showing you how to install both updates on your TMG Server. 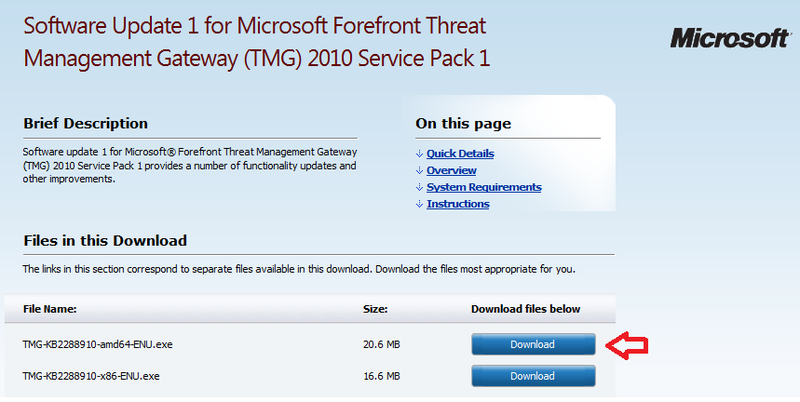 Service Pack 1 for TMG 2010 introduced many new features and bug fixes. 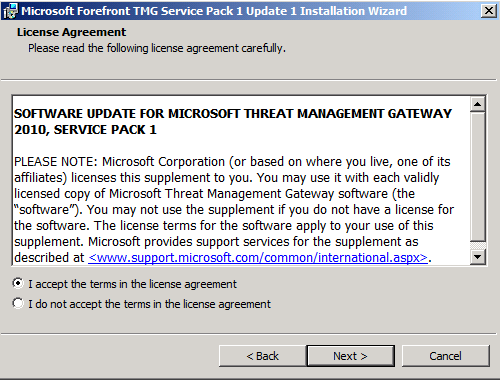 Shortly after it was released, Microsoft released a new update package for TMG SP1 called Software Update 1 for TMG SP1. This as well introduced new features and bug fixes. 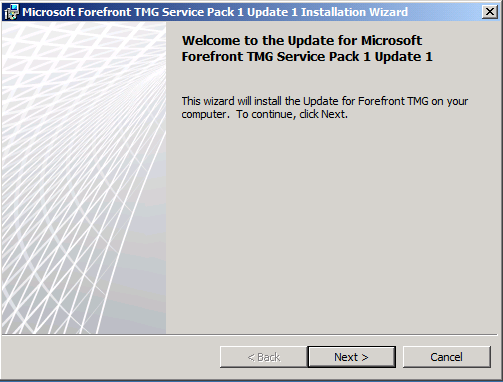 Software Update 1 is not a cumulative update, that is it does not contain Service Pack 1 for TMG. 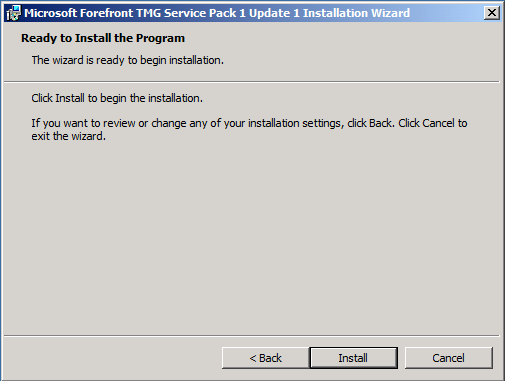 You cannot install Software Update 1 without first installing Service Pack 1 for TMG. 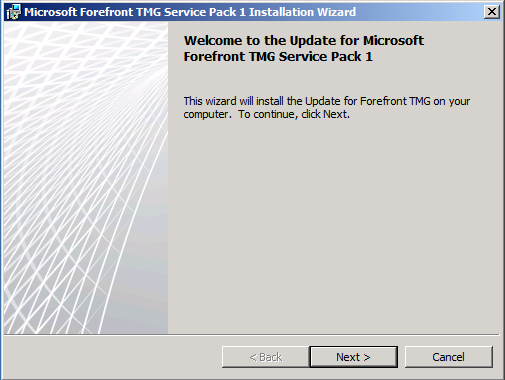 The correct order of updating your TMG server is first by installing service pack 1 and then installing software update 1 for TMG Server service pack 1. 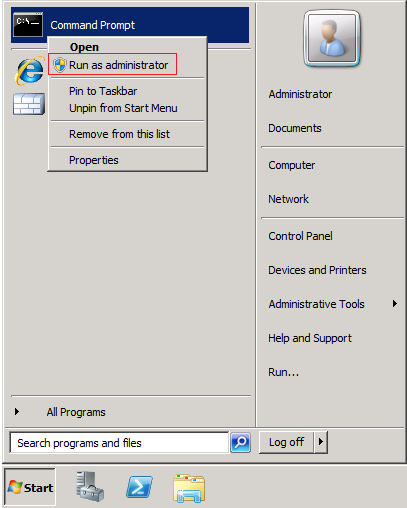 Right click inside command prompt and click on Paste. 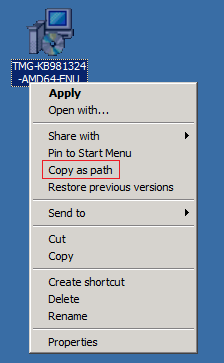 What you have done is copying the path of the SP1 file, in an elevated command prompt window. 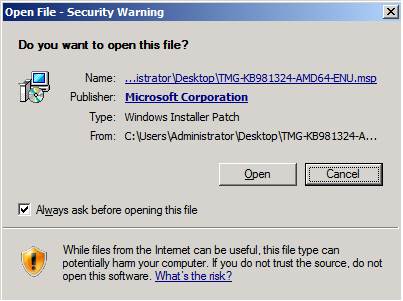 To start with the installation, hit the Enter key. On the Locate Configuration Storage Server window, as I'm installing it on a single server ( not a member of any array type) , then the browse button is grayed out. 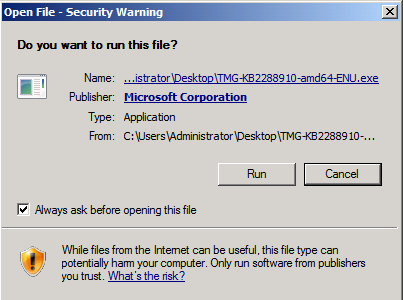 The name of your TMG server will be shown. Installing will start by checking connectivity with the CSS and then stopping the related services then performing the required upgrade. 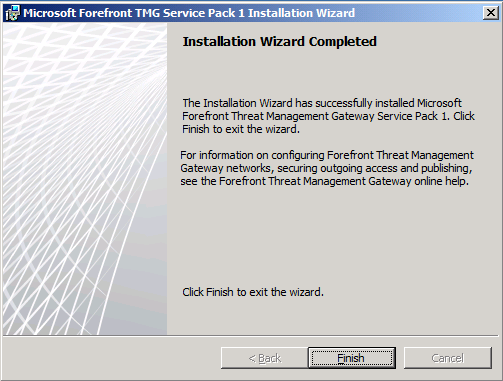 Once installation is completed, click on Finish. 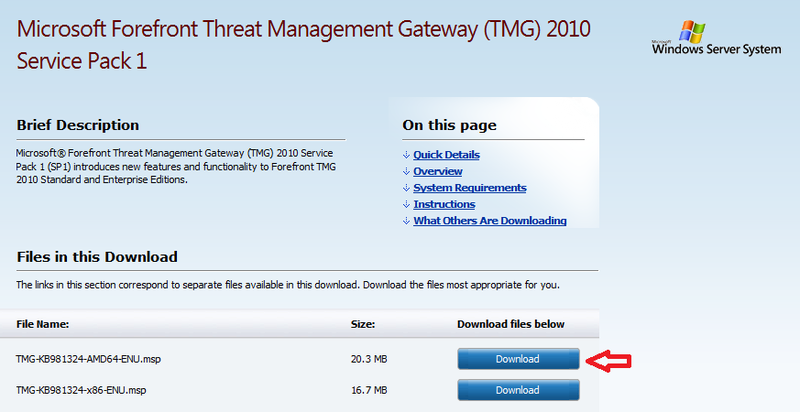 Like the SP1, SU1 has two files for download, one for the TMG server itself marked with the arrow as shown below , and the other file is for the remote management console if you have it installed on 32-bit client. 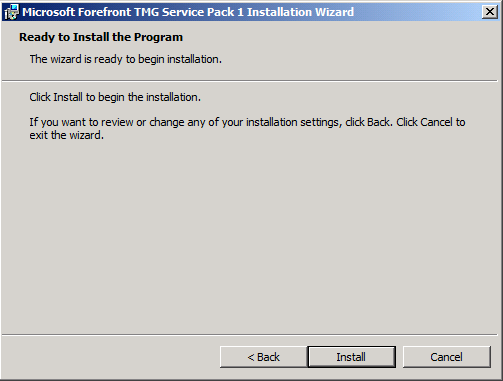 In this article, I demonstrated to you the steps required to install Service Pack 1 for TMG, and Update 1 for TMG SP1.